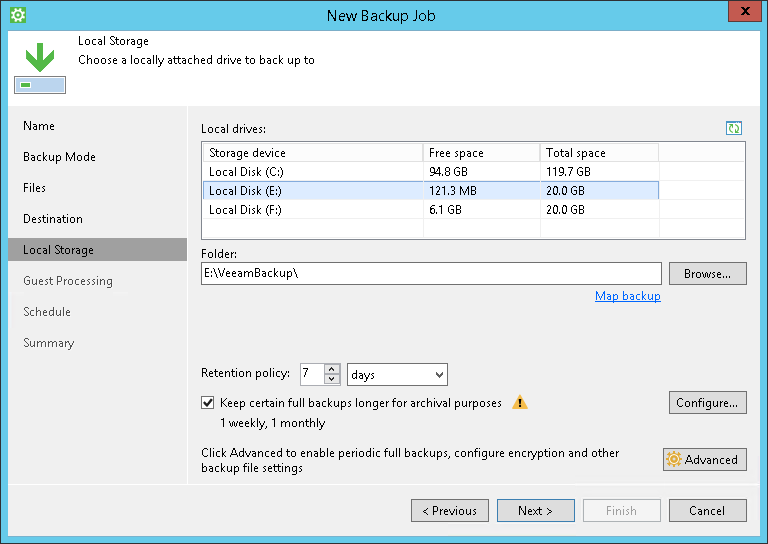 The Local Storage step of the wizard is available if you have chosen to save the backup on a local drive of your computer. In the Local drives list, select a drive where you want to store the backup. In the Folder field, specify a path to the folder where backup files must be saved. By default, Veeam Agent for Microsoft Windows saves files in the VeeamBackup folder. USB storage devices formatted as FAT32 do not allow storing files larger than 4 GB in size. For this reason, it is recommended that you do not use such USB storage devices as a backup target.